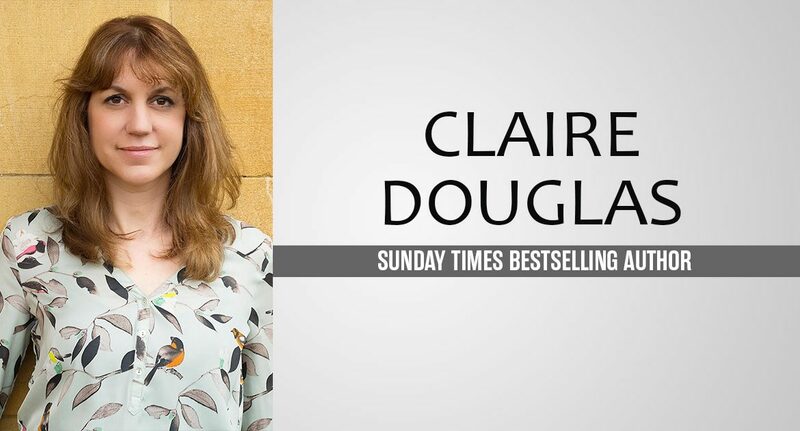 Claire Douglas is a journalist and Sunday Times bestselling author who has dreamt of being a novelist since she was seven. She finally got her wish after winning the Marie Claire Debut Novel Award with her first novel, The Sisters. This was followed by Local Girl Missing and Last Seen Alive, both Sunday Times bestsellers. Kirsty and her family have just moved to the Welsh mountains, buying and updating a guesthouse in the Brecon Beacons to help them forget what happened in London. But nothing turns out as planned. When her cousin Selena arrives after being estranged from Kirsty for many years, things go from bad to worse. As everyone around her becomes a suspect in a murder, Kirsty becomes less certain their move from London was a good idea. When I start developing an idea I jot it all out in a notebook where it can sometimes run to pages and pages. It might – and most often does – change as I actually begin writing the novel, but those initial notes really help me get to know my characters and how I’d like the plot to go before starting the book. My passions are reading and films. I did A-Level Film Studies and a BTEC in Media Studies and I think studying film helped me with plot and structure. Before I started writing novels I was a journalist mainly writing true-life features for women’s magazines like Take-A-Break. My really good friend and I set up a small press agency from where I used to live in Reading, which was really good fun. If I wasn’t a writer I’d love to be a psychologist. I love trying to understand what makes a person tick. I’m a mum of two lovely children who keep me young with walks in the park and treks around animal centres – they are both animal mad! I feel so incredibly lucky and grateful to be able to write novels full time. It’s literally a dream come true and I’ve desperately wanted it ever since I can remember. There is more pressure involved now but I think being a journalist has helped me keep to deadlines. I work much better knowing there is a deadline! You began your career in journalism – what started you on the path to being an author? Did you always know you wanted to write fiction rather than report news one day? I always wanted to be an author and only became a journalist because it meant I could write for a living. I started off in news but I wasn’t very good! I found it hard to be pushy enough, so moved into human interest features. 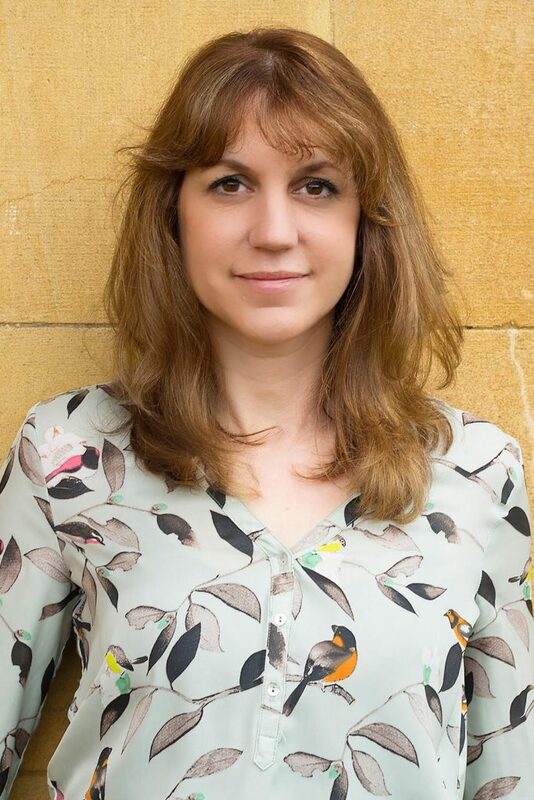 I wrote novels in my spare time – I submitted three to agents before I got my book deal. What changed everything for me was a novel competition that Marie Claire held in 2013. They wanted a contemporary story idea and the first three chapters. I had just begun writing what would become The Sisters so submitted the first 10,000 words to the competition and a synopsis, and then thought no more about it. I was beyond shocked when I got the call a few months later to say I’d won; I initially thought they were calling me about purchasing a magazine subscription! The prize was an introduction to agent Juliet Mushens – who thankfully agreed to represent me – and a one-book deal with Harper Collins. Tell me about winning the Marie Claire Debut Novel Award. How did it change things for you? What was it like when you found out you’d won? I honestly never in a million years expected to win. I had entered competitions before and nothing ever came of it. Before the Marie Claire competition I’d never won anything in my life! Not even a prize at school! So when I got that phone call to say I’d won it really was one of the most amazing days of my life (after the births of my children). I think I cried on the phone! It changed everything. The Sisters went on to become one of the bestselling debuts of 2015 and from there I got my deal with Penguin Michael Joseph. Do you have a favourite book you’ve written? Why? This is hard as I feel attached to every book for different reasons. I think The Sisters will always be extra special as it’s my debut – and even though I don’t think it’s my best (I still feel I’m learning so much and I think – I hope – I get better with each book I write) it’s the one that changed my life. Ooh, this is so hard, as there are so many books that I really love. But I think it would be Philip Pullman’s His Dark Materials trilogy. They are so complex and brilliant that I think you could read them over and over again, and still get something new from them. Let’s talk about Do Not Disturb. Where did the idea came from and what inspired you to write it? The idea of writing about a guest house came from my mum and step dad who owned and ran one for ten years. I used to go and visit them and the guests were all so interesting and diverse. I liked the thought of writing about a crime where the culprit is already in the house. There is another strand in the book that I can’t say for spoilers but that was inspired by a news story I read from the US. So I married the two ideas together to create Do Not Disturb. What actresses would you cast to play Kirsty? There are two wonderful actresses that I would love to play Kirsty and that’s Hannah Daniel from Hinterland and Keeping Faith (who actually narrates the audio book) and Eve Myles, who’s also in Keeping Faith and Broadchurch. What do you think readers will love about Do Not Disturb? I’ve read some early reviews and some readers have been lovely enough to say that they’ve enjoyed the atmospheric Brecon Beacons and the claustrophobic nature of a thriller set in the guest house. I just really hope readers enjoy it, and that it might make their heart pound a little harder and faster. I think the main theme of this book is motherhood and the lengths we would go to to protect the ones that we love the most. I also play with the idea that everybody lies in one way or another – either to others or to themselves. I’d love it if readers discussed the book and what they would do themselves in that situation. You have some fantastic early reviews for Do Not Disturb! Readers love the dark mystery, your evocative descriptions, and your amazing characterisations. Do you usually read reviews or do you ignore them? How do you deal with negative reviews? I can’t resist reading early reviews and then I try not to read them for a while as the negative ones can knock your confidence a bit, especially when writing the next book. I try not to take negative reviews too personally though, as I understand that not everyone can like the same thing and it doesn’t mean that what you’ve written is rubbish. No book or film or song is going to be everyone’s cup of tea. What is the publication date and where can readers buy Do Not Disturb? Do Not Disturb comes out in ebook on August 1st and in paperback on August 9th in the UK, and will be available in Tesco, Sainsburys, Morrisons, WHSmith, and Asda, as well as Waterstones, independent book shops and Amazon. It’s another psychological thriller, this time more of a whydunnit than a whodunnit, and it’s about a woman who shoots two people at the beginning of the story, with her old school friend, journalist Jessica, struggling to work out why she’d commit such a horrendous crime.